Posted on 28th February 2018 by William T.
Mediterranean Shipping Company (MSC), specialized in international sea transport of containers, created a new roro service linking Haropa to Western Africa. 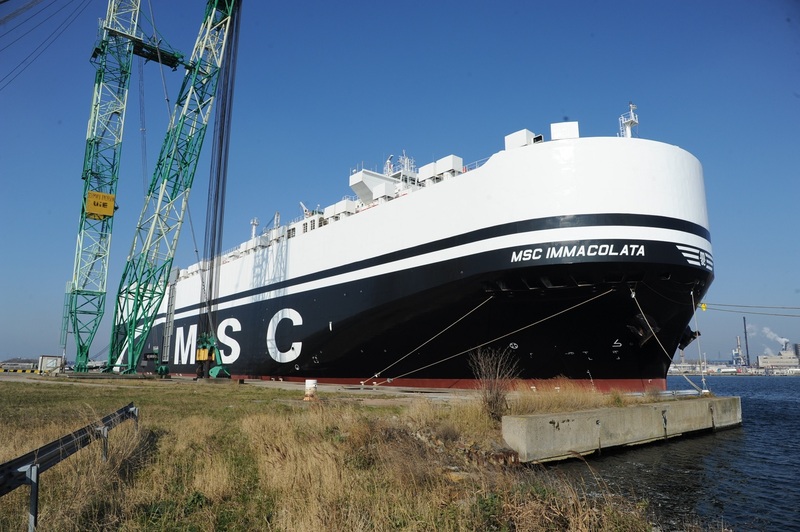 This group made, with the company gathering Le Havre, Rouen and Paris ports, the official inauguration of this new activity in Le Havre by the introduction of the MSC Immacolata. This roro ship, with a 6700 vehicles capacity, is 199m long and 32m width. With the MSC Cristina, ship with the same sizes, they will do bimonthly trips and will stop at Anvers, Dakar, Conakry and Abidjan ports, before heading back to Le Havre. The African continent is well known by MSC, since the group is already settled in more than 40 countries. For its part, Haropa continues on its path about the roro sector, because in 2017 they had experienced a growth rate of 18% in this branch.